This handy bag is all the traveling artist needs to carry supplies. 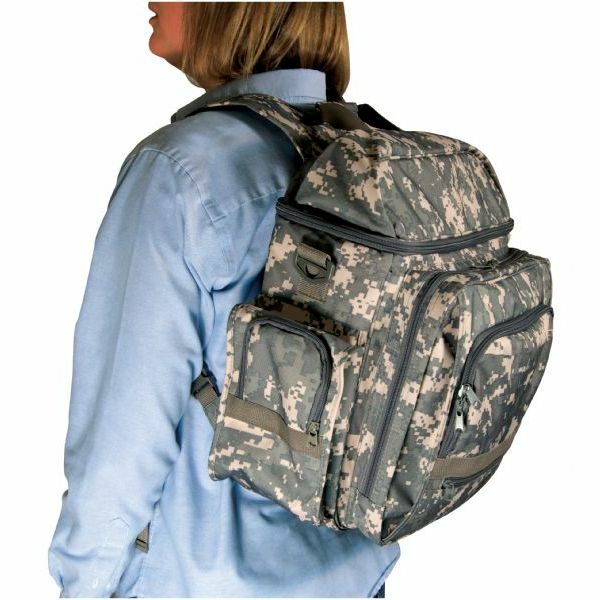 Backpack style bag also comes equipped with heavy-duty padded carry handle and padded adjustable, detachable shoulder strap for carrying options. Roomy 15"l x 6"w x 12"d main compartment can accommodate an Alvin® Stow & Go™ Storage Bin or a large Heritage™ Wood Palette Sketch Box. 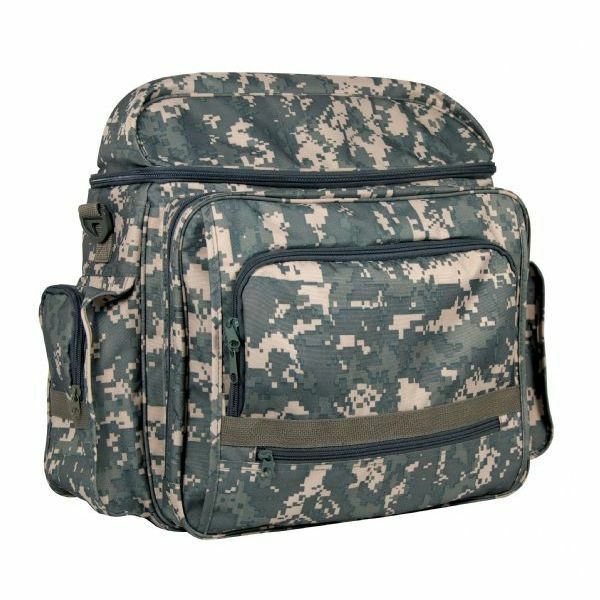 14¾" x 1½" x 8½" padded inner sleeve is ideal for a laptop or canvases with an adjustable Velcro® securing strap. Zippered top includes inside pocket for storing brushes and other tools and can accommodate a 12" ruler. Zippered outer compartment includes two dividers for storing standard file folders, books, sketch pads, or canvases. Gusseted zippered outer pocket features 5¼" x 1" x 5¼" padded hook and loop flapped pouch for computer accessories, three pen/pencil sleeves, and an outer zippered 3" x 12" tool pouch. 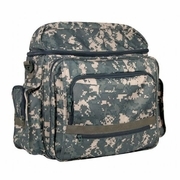 Both sides have gusseted 5" x 2" x 7" pockets for tools, keys, phones, mp3 players, or a water bottle. Zippers feature security lock loops. Comfortable, adjustable padded backpack straps. Durable, water resistant canvas. Maximum weight capacity 55 lbs. DISCONTINUED ITEM BUT WE HAVE 1 Available!